Will Rajini change the paradigm of Tamil Nadu politics? 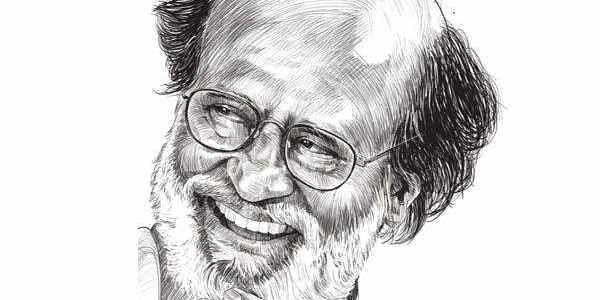 Never after the legendary MGR, as the famed cine actor MG Ramachandran was adored, has Tamil Nadu politics seen such tumult and quake as when Rajinikanth announced his entry into politics on December 31, 2017. His decision to enter public life is contextualised by the huge vacuum in Tamil Nadu politics after the demise of Jayalalithaa [Jaya] and the age-related inactivation of M Karunanidhi [MK]. To understand what Rajini’s entry means to Tamil Nadu politics, one needs to recall how the two Dravidian parties — the DMK and the AIADMK that split from the DMK in 1972 — came to occupy almost both the ruling and the opposition spaces in the State. After the ouster of the Congress by a DMK-led alliance from power in 1967, the DMK emerged as the dominant force in Tamil Nadu politics, with the Congress led by the redoubtable K Kamaraj weakening after the 1971 general elections and disintegrating during the Emergency in 1975-77 and after. This tectonic shift and its impact on the course that Tamil Nadu politics took then, has huge relevance for understanding what impact Rajini’s entry may have on Tamil Nadu politics now and in future. Many analysts thought that the division of the DMK into two parts in 1972 would clear the way for the return of the Congress, which, though split in 1969, had largely retained its base in Tamil Nadu thanks to the grand old Kamaraj. With 38 per cent vote share in the 1971 polls and the vertical split in the DMK, the Congress under Kamaraj thought it would be back in power soon. There was a flaw in this analysis. While most of the DMK votes in 1971 were its “own”, a significant part of the Congress votes were “anti-DMK votes” of generally the educated and the middle class. The Congress benefited by the anti-DMK votes that did not belong to it. The aim of the anti-DMK voters was to defeat the DMK more than electing the Congress to power. Anyone who could show the potential to defeat the DMK stood a chance to get the anti-DMK votes. When MGR exploded into the political sphere after he was expelled from the DMK, the massive reception he got and the intense anger he generated against the DMK, particularly MK, made the anti-DMK voters look at the AIADMK as the potential winner and not the tired and fatigued Congress led by the noble and gentle Kamaraj. Though national minded, their antipathy to the DMK compelled them to shift to the AIADMK from the Congress. The shift of the anti-DMK voters from the Congress to the AIADMK was proved in the Dindigul bypoll to Parliament in which the MGR-led AIADMK entered the electoral fray for the first time after the split. While the AIADMK won it with 52% votes, the Kamaraj Congress got less than 16% in the 1971 poll and the DMK polled 36%, which together constituted the AIADMK votes. MGR’s entry was therefore not a split in the DMK but proved to be a paradigm shift in Tamil Nadu politics, with the AIADMK emerging as the pseudo national party fighting the DMK. With the rise of the AIADMK, the alliance between either of the two Dravidian parties and national party de-Dravidianised Tamil Nadu politics, which had gone Dravidian in 1967. What is the relevance of the advent of MGR in 1972-73 to that of Rajini now? An analysis of the elections since 1973 in Tamil Nadu proves that the anti-DMK votes — which later changed in character as anti-MK votes, against the MK dynasty — played a critical role to make the AIADMK win all elections except perhaps 1996, which the AIADMK supremo Jayalalithaa lost due to public anger at the ostentatious wedding of her adopted son. By any calculation the anti-DMK votes would constitute at least 15% of the total votes in Tamil Nadu — a third of the AIADMK votes, if not more. Rajini will be the natural choice of the anti-DMK votes, which is actually a hidden national party vote bank. With the AIADMK, leaderless after Jaya, seeming to be no longer potent to defeat the DMK, the anti-DMK voters are bound to seek a credible asylum. Rajini is the most obvious candidate for the anti-DMK voters who are most likely to desert the AIADMK just as they deserted the Congress in 1973. Apart from millions of his own fans, Rajini will have the bonus of the anti-DMK votes. The next factor is the educated and middle class Tamil Nadu, which has been seeking alternatives to the Kazhagams — the DMK and the AIADMK — for long. This will include those who have been voting for the DMK because they dislike the AIADMK and also those who have been voting for either of the two as the lesser evil in any given election. This is a shifting number and floating votes, which belong to neither of the two, but still alternates between them only for lack of a credible alternative. These two factors will mean a chemical change and affect both the DMK and the AIADMK in a manner that the frozen support base of both had never betrayed in the last 45 years. Another factor is the addition of some 37 lakh new voters who would have just turned 18 by 2019, which would increase by a further 23 lakh voters by 2021. At present, no political party or leader in Tamil Nadu has the charisma to attract this new avalanche of voters. DMK leader M K Stalin has said that youth do not get attracted to politics — meaning they do not get attracted to the DMK as well. Maybe some of them may look to Narendra Modi who has definitely a great appeal among the youth and to an extent Rahul Gandhi. While the Congress is keen to commit sati with the DMK without attempting to do anything on its own, the BJP has not yet put its act together in Tamil Nadu. As yet Tamil Nadu is not in the radar of the redoubtable Modi-Shah combine, which has built the BJP from scratch. 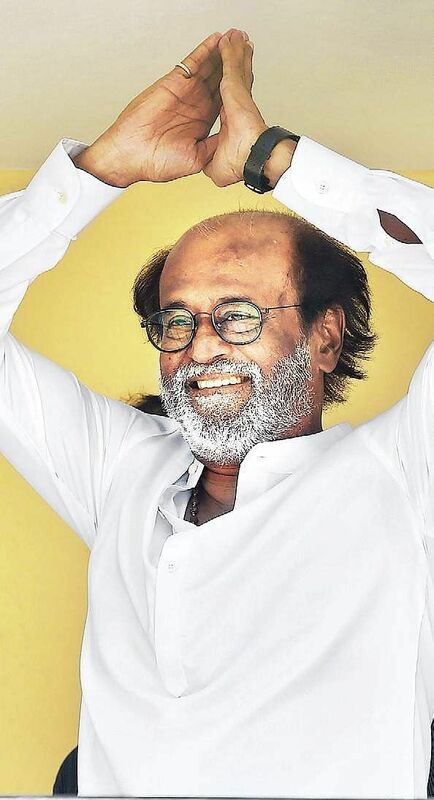 The new avalanche of voters who have no attraction for the existing players and faces, will be looking for a new, credible face and Rajini is the most obvious candidate. While Rajini has a large and independent vote base, the other factors are not just add-ons, as each of them is a huge constituency in itself. Undoubtedly Rajini has a huge following in and outside Tamil Nadu and all over the world. His simple announcement of political entry, without even specifying when exactly, has sent shock waves and aroused huge enthusiasm all over. More. He will be the first political leader with mass following to refuse the Dravidian legacy and project nationalist views. By his significantly new, well advised political brand “spiritual politics” he marks himself out from the anti-God politics, concealing within it the Dravidian anti-Hindu sentiments, which has become outdated and counterproductive in Tamil Nadu’s increasingly pervasive religiosity. With these potential ground-shifts the question that remains is: will Rajini be able to change the paradigm of Tamil Nadu politics?